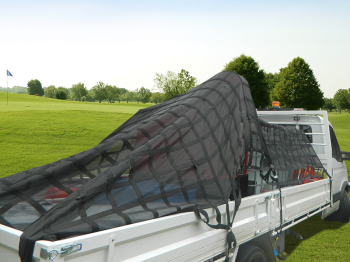 Safeguard Cargo Nets, formerly Gorilla Cargo Nets, are used and recommended by governments, resource and utility companies, tradespeople, and the 4WD and recreational market across Australia. Safeguard Cargo Nets are the best cargo nets for utes! 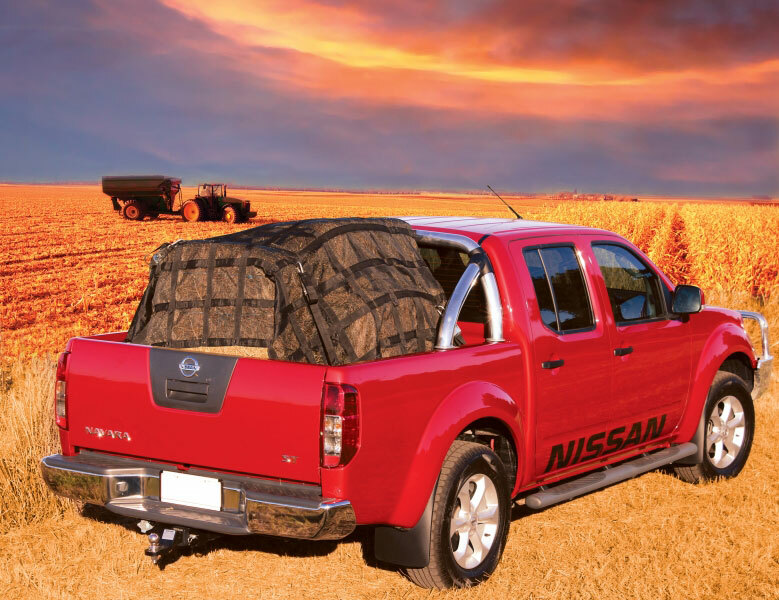 Whether it be an adventure, going to work or just taking a load to the tip, the Safeguard Cargo Net will fit almost every type of ute and tray for total load protection. It truly safeguards your cargos and fits everything from box trailers to medium rigid trucks. 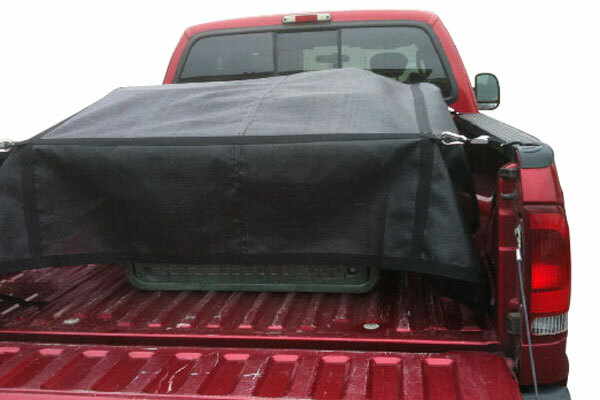 This great product will save you money and time in securing your load. 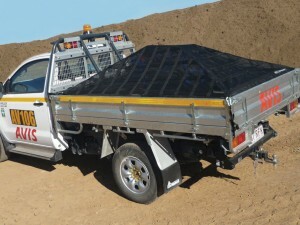 It is perfect for utes, trucks, 4WD roof cages, trailers, boats and much more. Mesh tarp is ideal for shade or as an under-tent protection layer. Perfect for Utes, 4wd roof cages, trailers, boats and more. Working load capacity 400kg. 4M x 25mm with "S" Hook on each end. 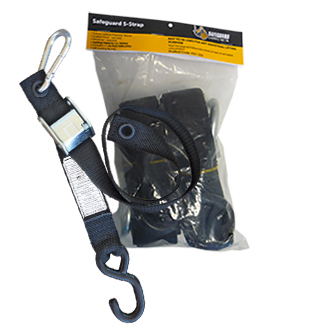 Safeguard ratchet tie down straps are designed for easy, hassle-free and safe way to secure a load. Ratchet tie downs can apply a measured amount of tension, and lock to help prevent accidental release. Working load capacity 500kg. 5M x 25mm with Hook and keeper on each end. 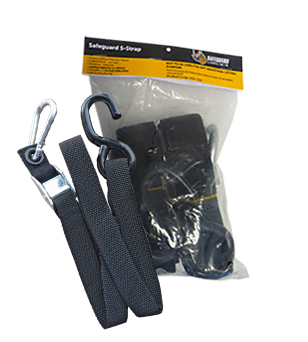 Safeguard ratchet tie down straps are designed for easy, hassle-free and safe way to secure a load. Working load capacity 1500kg. 6M x 35mm with Hook and keeper on each end. 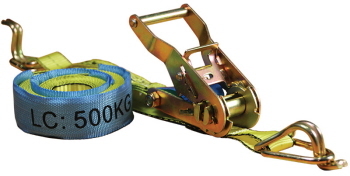 Safeguard ratchet tie down straps are designed for easy, hassle-free and safe way to secure a load. Working load capacity 750kg. 6M x 35mm with S Hook on each end. Safeguard ratchet tie down straps are designed for easy, hassle-free and safe way to secure a load. Working load capacity 2500kg. 9M x 50mm with Hook and keeper on each end. Safeguard ratchet tie down straps are designed for easy, hassle-free and safe way to secure a load. The ASH-70 (700x38mm) is shorter and is used mostly on Roof Rack Cages. The ASH-300 (1000x38mm) is the standard strap – used on most trays and vehicles. With small hook as shown in the pic. Karabiners are also available as an accessory – they come in packs of 10.